Asperger syndrome has hit the headlines after Robbie Williams revealed today he believes he may have the condition. And on Wednesday, Love Island contestant Niall Aslam explained he abruptly left the villa earlier this month because he suffers with it. 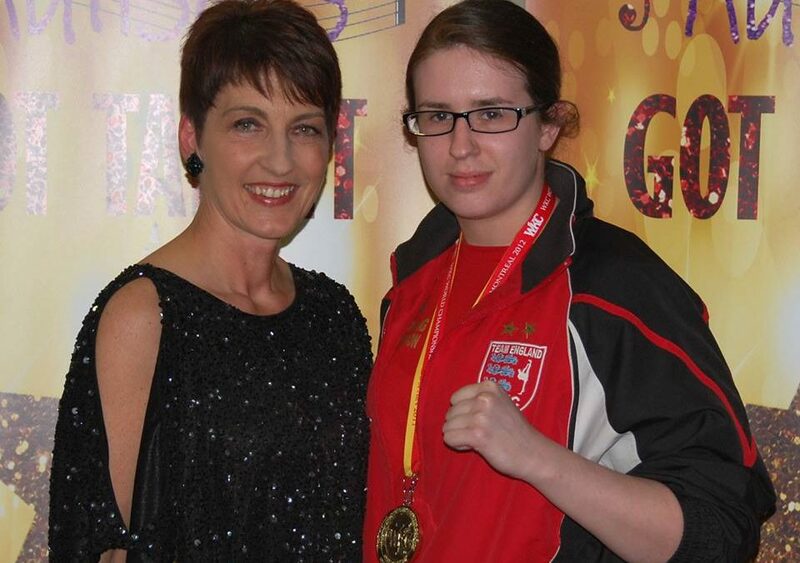 Claudia Tanner spoke to World Champion Kickboxer Jo Redman, a 32-year-old from Rushden in Northamptonshire, who wasn’t diagnosed until she was an adult. She shares her struggles, how she copes with them and what she wants other people to understand about the syndrome. I was having a melt down and lying on the floor of my mental health worker’s office when a police woman told me to grow up and stop behaving like a child because I’m a grown woman. It wasn’t the first time, and I expect sadly not the last, that I’ve had an experience like that as a woman living with Asperger syndrome. At school, children would call me “spastic” and “freak” because I was clearly different and barely spoke. I didn’t understand the other girls’ interests in drinking and boys. People still stare at me when I behave in a way that’s seen as strange to them, such as rocking back and forth because I’m stressed. I’ve been called an attention seeker too. When I feel overwhelmed I often need to lie on the floor. It’s just my way of coping. I also tend to lose my balance when I feel like that – something the police officer didn’t understand when they were called out because I was having a melt down. When I have these episodes I can hit out at walls, punch things and throw stuff about. I never hurt anyone. People not understanding that I’m not deliberately doing this frustrates me further – after all, I can’t help it. My brain processes things differently to most people. At school I didn’t feel like I fitted in then and I still don’t now. It can make me feel very lonely, but I’m finding new ways of coping. There’s been a lot of awareness about autism in general in recent years which is great but Asperger syndrome is still really misunderstood. It is often referred to as ‘mild’ or ‘high functioning’ autism because people who have it are of average or above average intelligence. Because I talk like everyone else and I’m clearly fairly intelligent, people don’t always get that my brain works differently. We don’t have the learning disabilities that many autistic people have and are classed as high functioning. And in many ways it makes our struggles invisible and more easily dismissed. I may not need help making my lunch like more severely autistic people do, but I still have many of the autistic traits. Of course, everyone is different and the way a person with Asperger is affected can be varied. However, there are certain tendencies that people share. I don’t think many people realise that people with Asperger can suffer with sensory problems – over- or under-sensitivity to temperatures, sounds, touch, tastes, smells, light, colours, or pain. I don’t like bright lights and loud noises. My meltdowns can also be triggered by changes in my routine. It stresses me out if someone says they’ll meet me at a certain time and don’t turn up. And even a change in the weather can impact me – the summer means having to think of different clothes to wear and also that there will be lots more people out and about. I have good language skills but I find it hard to read other people and sometimes take what they say literally. I struggle to express my own emotions and find the right words or the right order to say them in. I was married from the age of 22 until a few years ago. I find it difficult understanding another person’s expectations of me. Sometimes my ex-husband would want to talk a lot but I needed quiet. It can feel like your partner has become your carer at times. I’ve had ups and downs with my family and friends. Things have gotten easier, but there’s been lots of miscommunications and misunderstandings along the way. Too many questions can make me feel overwhelmed with information. Equally, sometimes people don’t ask enough to try to understand what’s happening with you. And what I want people to know is, it’s a two-way process. Yes I want them to try understand why I behave the way I do. I also want to try to understand them. There’s better support if you’re more severely autistic, but those considered ‘mild’ can slip through the net. Being diagnosed with Asperger late on – I was 23 – was difficult. Because we don’t have learning difficulties it can often go under the radar in children. I also have ADHD, which explains why I didn’t hit the grade As I was predicted in my GCSEs (I got Bs). I find it hard to organise myself and prioritise things. The mental health support for people with Asperger is almost non-existent, in my experience. I’ve been told the psychological therapies they offer aren’t suitable for me because of my autism. And when I find something suitable, I’m told there’s no funding for it. I feel there’s better support if you’re more severely autistic, but those considered ‘mild’ can slip through the net. I carry cards I’ve made with me to help me communicate when I’m out. One says that I’m autistic and lost and that I may feel distressed and I need help. Others say that I have headphones on because I’m feeling overwhelmed by the surrounding noise, to help explain that I’m not being rude if I can’t answer someone trying to speak to me. I tried working in office jobs, but I found it too difficult and I’ve realised it isn’t for me. I’ve suffered bullying at work. People have whispered about me and made fun of me. I want have a career again once I get enough stability in day-to-day life. I feel like I have a lot to offer. Trying to explain my needs just to get any help has become exhausting and repetitive. I’m proud of my achievements The 32-year-old is three times World Champion in kickboxing. I love being able to inspire young people and show them that you can have dreams, and do the things that you never thought in a million years you’d be able to do. Instead, I’ve thrown myself into kickboxing and charity work. Kickboxing, being so physical, really helps me to let go of the frustrations that build up. In 2011, I won my first World Championship medal and I went on to claim the title two more times. It’s helped boost my self-esteem to finally find something I can be successful in. I begun working with the charity Anna Kennedy as a patron in 2013. I’m passionate about raising awareness of living with Asperger and enjoy providing support to others. I’ve even many times took part in public speaking. I went back to my old school to give the pupils a talk about my kickboxing achievements and being on the autistic spectrum. I used to hate having to speak in public at school and it took me over half an hour to stutter my way through a five-minute speech we had to do in English. I love being able to inspire young people and show them that you can have dreams, and do the things that you never thought in a million years you’d be able to do. I want others to know that people who are autistic on any end of the spectrum have something to offer the world and should have that opportunity to do so. We all have so much to offer but just need some support and help to unlock it. Autism’s Got Talent, the nation’s leading autism talent show part sponsored by Options Autism, the national provider of care and education to children, young people and adults with autism, complex needs and learning difficulties, is taking its amazing show out to new British audiences this summer with events in Cornwall and the Wirral. 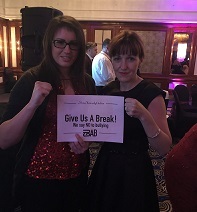 Autism’s Got Talent (AGT) was founded by Options’ Autism Ambassador, Anna Kennedy OBE, a well-respected autism campaigner and mother of two sons who have autistic spectrum conditions. On 11th June the judging panel is meeting in Liverpool to make the final selection of acts for a live show at the Floral Pavilion Theatre in New Brighton, the Wirral, on 23rd November 2018 and on July 14th the Autism’s Got Talent roadshow is appearing at the St Ives Theatre, Cornwall. It will feature such diverse new talents as The Autistic Monkeys, 14 year old Lewis Turner and Sam Geldard, aged 16, who are ukulele and drumming enthusiasts, and Lakhile Dlamini, aged 10, who lives in Bristol. With his outstanding ear for music, Lakhile can play a song after hearing it just once. Autism’s Got Talent, Lakhile Dlamini aged 10 Glen, 17, a youth ambassador for Dorset Mind Mental Health charity. Calvin, who has set up a monthly musical theatre and dining experience at a local bistro, also plays bass guitar for a death metal band and guitar for an 80s and 90s covers band. 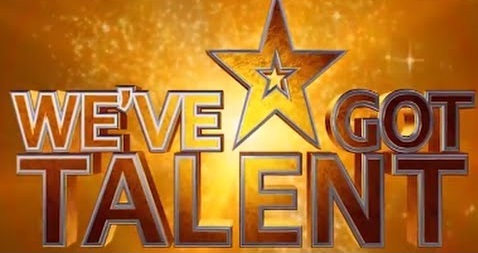 Unlike Britain’s Got Talent, the show, which started in 2012, does not feature live auditions. Instead, each year, sensational singers, dancers, musicians and magicians, comedians and gymnasts who are on the autistic spectrum send in an audition video. The selection process is very successful and has kick-started some glittering careers. Autism With Attitude, the street dance group from Hillingdon Manor School, part of Options Autism, first appeared on Autism’s Got Talent five years ago and has had stellar success since then. In May 2018 they won second place in the final of the European United Dance Organisations (UDO) Championships in Germany. The hugely talented ten year old singer Calum Courtney from Basildon was due to perform at the London Autism Got Talent show at the Mermaid Theatre in London on May 12th this year but had to withdraw after signing a contract with Britain’s Got Talent. On Sunday June 3rd millions of viewers watched him perform ‘Good Feeling’ in the final. 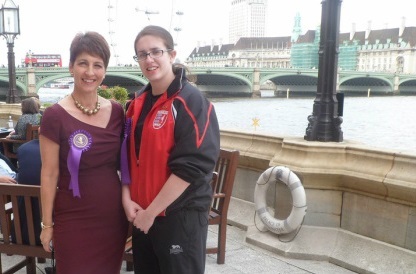 ‘Autism’s Got Talent is growing year by year,’ said Anna Kennedy, OBE. Anna Kennedy OBE and her team are now preparing for the Autism’s Got Talent Roadshow – St Ives, Cornwall hot off the heels from their successful seventh red carpet show that took place at Mermaid Theatre London in May. 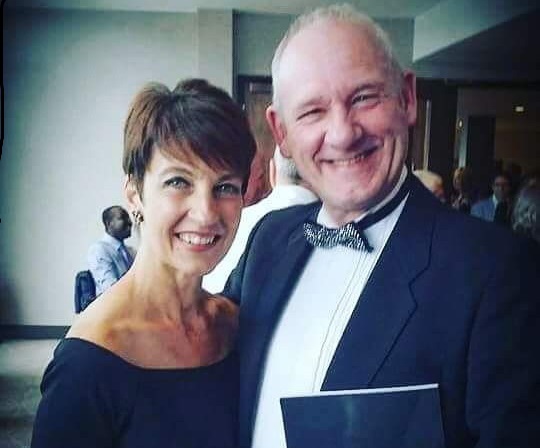 In 2015 Anna Kennedy received a once in a lifetime experience of dancing on BBC’s Peoples Strictly with 5 other lucky participants. One of those contestants was Phil Barnett who lives in Cornwall. Anna and Phil are joining forces with Kidzrus to bring Autism’s got Talent Roadshow to St Ives. For further information or group bookings please email lisa.robins@annakennedyonline.com or contact the office on 01895 540187 between 9.30am until 2.30 pm Monday to Friday. 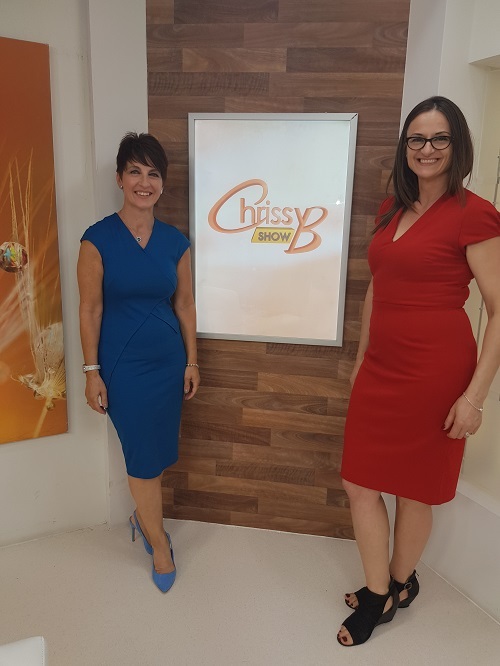 On Wednesday 20th June, Alessandra Bester was one of my guests on my regular monthly slot on Sky TVs Chrissy B Show. 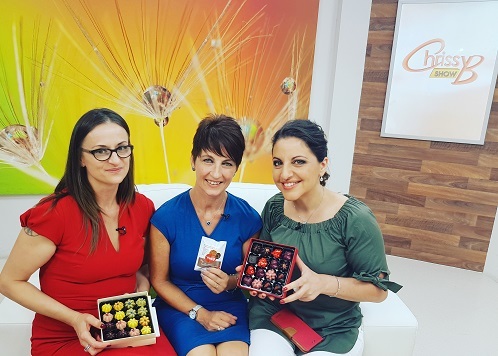 Alessandra is the the founder of Functional Food Co.
Alessadra shares: ‘An umbrella company for ‘better for you’ brands like: IBSnack, Nono Cocoa, Micro… Free-from on-the-go snacks enhanced with nutrition for optimum health. I have combined over decade of passionate work in the food industry, with life-long research and experience with nutrition and behaviourism, added my own and my son’s health crisis, blended with recent years in marketing and branding for start-ups, to cook up sustainable working environment when juggling growing company and raising disabled child with complex needs. Now recruiting people with special needs, I am constantly inspired to develop food that meets the needs of the future generation. I really wasn’t sure what to expect. Despite getting my diagnosis nearly three years ago, it’s only recently that I’ve started to attend events for people with Autism. It took me a long time to figure out what my diagnosis meant to me and I needed some time to find steady ground before I felt comfortable to… I guess, ‘publicly identify’ as autistic, if that makes sense. So I’ve only been to a few events like this and I’ve honestly been blown away by how kind everyone is. Everyone working the show was patient and engaged and that made such a difference to the whole atmosphere; it made it a lot less stressful. They had a fantastic team there to help all of the performers manage the day, all of whom only had two acts to look after; and if anyone was getting stressed, they did an excellent job of remaining calm and composed. These things made for such a supportive environment before and during the show and made the whole thing such a pleasure to be a part of. The sound check had been well organised so most of us were done by lunchtime. I ran out to do a few things and then had a couple of hours to chill and gather my energy. I definitely needed that. And then, all of sudden, it was time to get back to the theatre, take photos, and go to the green room. I missed a lot of the first half because I had to be in the green room in preparation for getting on stage for my performance and, although I was sad to miss the performances, I got to hang out with some seriously lovely people that I hope to stay friends with. It happens; it was fine. In all seriousness: I’m not fazed by performing anymore. I get nervous and restless before a show but I’ve done it enough that it doesn’t really impact my functioning or my ability to perform; I can be anxious and still handle anything thrown at me (such as equipment failure…) without falling apart.We switched out the microphone and started again. All good. The performance was so much fun (even though ‘Invisible’ is a sad song) and it was really special to play for an audience that was so genuinely supportive of the performers. If you’re reading this and you were there, you guys were wonderful! I also got to mention this blog before leaving the stage, which was cool. In the interval, something really special happened. A number of people came up to me and told me how ‘Invisible,’ resonated with them or how they wanted to find my blog because they thought it would help someone they knew. The idea that something I’ve done – little old me – could have an impact on someone is so incredible and magical and special to me. All I want to do is create things and help people, and create things that help people. So those interactions are amazing to me. Does that make sense?